How to Play Spades. Spades is a partnership bidding game similar to bridge. It's played in a clockwise direction, most commonly with two teams of two players sitting opposite each other. The suit of spades is always the highest value suit or trump, and cards are valued from highest to lowest: A, K, Q, J, 10, 9, 8, 7, 6, 5, 4, 3 and 2. Shuffle and deal a standard 52-card deck until all the cards have been dealt out and each player has 13 cards. Bid (if you are the person to the left of the dealer) on the number of tricks - always between 4 and 13 - you estimate you can win. Bid nil or blind nil if you think you cannot win a single trick in the entire round. Evaluate the first bid of the opposing team. Note the special bids of nil or blind nil. Note your partner's bid; he is making the contract bid for which you are both responsible. Note the bid of the second partner of the opposing team, for which both partners are responsible. Play your lowest club on the first hand, after the holder of the 2 of clubs has led. Discard a heart or diamond if no club is held. Lead the next trick if you won the first, with any card but a spade. Follow suit, but if unable, play any card including a spade. 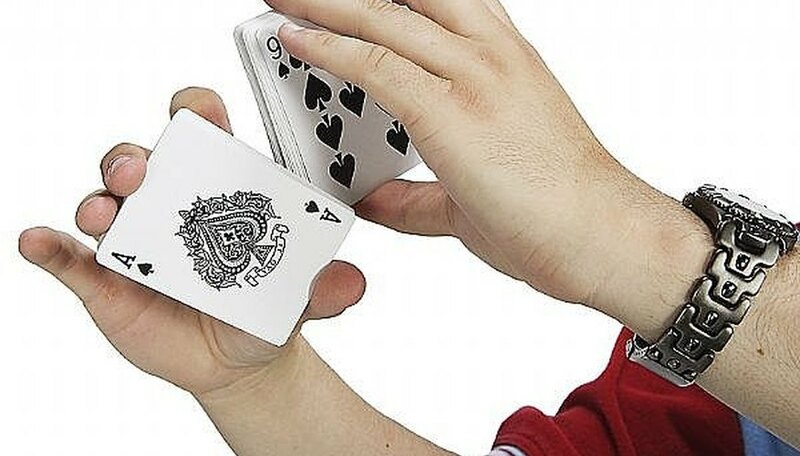 Play one round or 13 tricks, until all players have no cards remaining in their hands. Score 10 times the bid for the team that took as many tricks as bid, plus one extra point for each additional trick or sandbag. Score 50 points for the successful nil bidder, plus the score won or lost by the partner for tricks made. Score 100 points for the successful blind nil bidder, plus the score won or lost by the partner for tricks made. Deduct 10 points for each trick taken by the team that did not make its bid. Deduct 50 points for the failed nil bid, plus the score won or lost by the partner for tricks made. Deduct 100 points for the failed blind nil bid, plus the score won or lost by the partner for tricks made. End the game when one team reaches 500 points and wins. When bidding as the first bidder, indicate strengths by saying things like, "I think I can take five or, maybe, six tricks," but never specify the exact suit or ranking of the cards in your hand. Bid intelligently by taking into account the first partner's bid. Spades is a game of communication between partners. The first bidder is responsible for taking the tricks he indicated he would take in his bid. If he takes more or fewer than he bid, he is punished in the scoring process. In the same scoring round, both the first and second bidder are responsible for taking tricks indicated in the second bid. If they take more or fewer as a team, they are punished in the scoring process. Spades may not lead the play of a hand until a player follows with a spade. A player can only follow with a spade when he no longer holds the suit led. Tricks containing spades are won with the highest spade. If there are no spades in the hand, it is won by the highest card of the suit led. Spades is a game of partnership, so remember what cards fall early in the game. That way you can play off of your partner's strengths, and he can play off of yours. Scoring is meant to punish, and thereby discourage, inexact bidding. Teams that overbid are punished minimally; teams that underbid are punished fully. If both teams reach 500 points in a single deal, the side with the higher score wins.